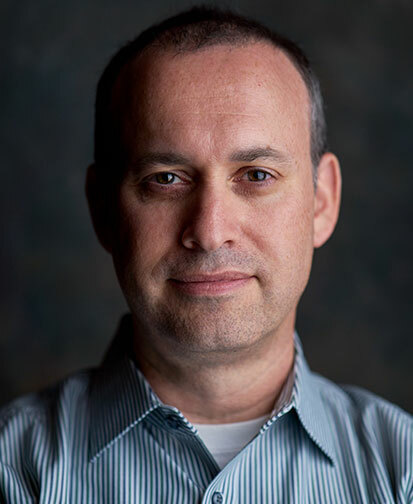 Neal Manowitz has been a key player in the growth of Sony mirrorless and full-frame cameras during the last five years. He was recently promoted to deputy president, Imaging Products and Solutions – Americas, where he takes on additional responsibilities in other professional markets. I caught up with Manowitz to get his take on Sony’s remarkable rise. We also discussed how Sony is continuing to capture the imagination of a young, dynamic new generation of storytellers. JG: First of all, congratulations on your promotion. Tell us a little about your new position. NM: Thanks, Jerry. It’s always great to catch up with you. In addition to my current responsibilities heading up the imaging solutions business, I’m also responsible for Sony’s professional solutions business. It includes a wide variety of customer segments, including broadcast, education, healthcare and movie theaters. The common thread between my current position and my new responsibilities is that the voice of the customer remains critical. We are always listening to our customers, actively taking feedback and working to help improve their lives. You’ve definitely been listening to the consumer; your success has been impressive. I remember four or five years ago when you were talking about mirrorless; since then, Sony has dominated the mirrorless market. What does the Sony brand stand for? What the Sony brand stands for is simply innovation. We’re constantly challenging ourselves to develop innovations that connect with our customers in a new way. The communities we’re building are always challenging us to help them reach their potential. We’re excited when we are able to deliver for them. 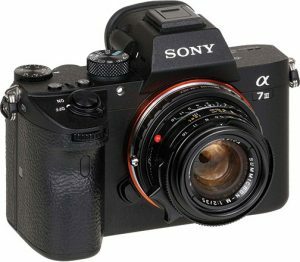 You can see examples like the Alpha a9 camera, with such features as 20-frames-per-second, completely silent shooting. These new technologies allow photographers to capture an image that has never been captured. It is the same with our line of G Master lenses and their incredible resolving power; there is a mindset that you can now capture an image with a level of detail that you could never before have imagined. We have the advantage of driving innovation on the sensor side as well. As the world’s largest sensor manufacturer, we have the unique ability to anticipate where the market will be in the long-term and design for it. When you talk about community, your Be Alpha and Alpha Female campaigns come to mind. 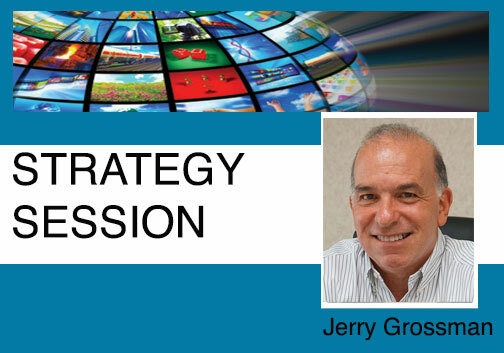 Is your strategy to build new kinds of imaging communities? With Be Alpha, we are empowering the community by giving them a voice to share and post their images. 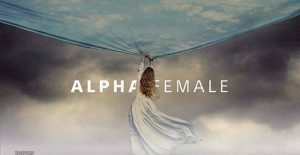 Since we launched #BeAlpha, there are already more than 400,000 community posts, which in turn garner hundreds of millions of impressions. The same goes with our Alpha Female program; it allows us to support amazing talented creators and help them to break through in their careers. Was part of Be Alpha and Alpha Female an attempt to drive the category younger? Yes, one of the exciting things for us is that the demographic of our customer is changing, and certainly becoming younger. 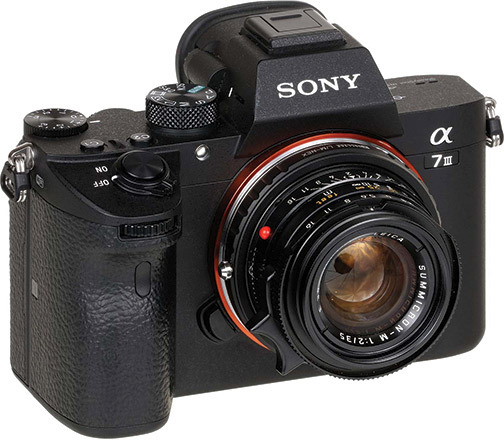 The a7 Mark III dramatically expanded the full-frame market. It also brought a younger demographic of creators into the industry, who as we know are capturing more images than ever. It’s incredible to watch. We’re also constantly thinking about how we can bring new value to new customers. If you look at how and where we’re communicating through social channels, we’re definitely feeling the excitement and enthusiasm of these new, younger content creators and visual storytellers who are honing and expanding their craft. It’s been really exciting for us to collaborate with and learn from this next generation. It’s certainly been your niche. Canon and Nikon historically have been older, and I haven’t seen many other brands taking on this category in such an overt way. You’re exactly right. At our Be Alpha events, you can see this by who is attending. As an industry, we must appeal to the new generation of photographers—both male and female. That’s true of both manufacturers and retailers collectively. In order to do so, we all must continue to innovate to appeal to the younger demographic. I don’t think anyone would challenge the notion that millennials are taking more and more pictures. But how do you provide more value to those photographers to encourage them to use a different product than what they’re used to? Is part of the success because the younger demographic isn’t as entrenched with older brands, so when you entered the mirrorless market you didn’t have the fight you may faced if a legacy was in the category? 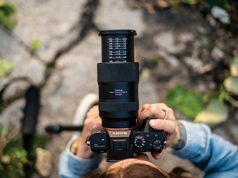 If you haven’t invested thousands of dollars in lenses, there’s no natural barrier to try something new, so that definitely helped us. If the next generation of photographers can look at the industry more objectively with no strings attached, they’re more open to making the brand choice that’s right for them today and in the future. And they have a lot of great choices. Speaking of choices, it seems you’ve awakened the “sleeping giants” in the mirrorless category. What do you think of their participation in the category, and how might it affect Sony and the category in general? It’s really a significant win all around. I remember the conversations you and I had just a few years ago about the category not even agreeing on the “mirrorless” name. The more brands that are offering new products and exciting customers with innovation, the better. Today, there is more diversity in terms of the product offerings, leading to consumers having a broader choice. Nikon and Canon have certainly invigorated the category to everyone’s benefit. As we were talking earlier, innovation drives the market and it’s our job to innovate and excite customers. The more companies that do that, the better we will be as an industry. Do you see mirrorless taking over the interchangeable-lens camera category because of its size and other benefits? Or are DSLRs still part of your strategy? Our A-mount customers are extremely important to us. We value them at a very high level. Beginning with the a7 introduction almost six years ago, we’ve provided them with a great solution to extend the life of their lenses. People are now doing things with those lenses that they didn’t think possible. 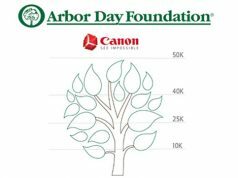 As an imaging company, we must always protect our customers’ investment. In terms of where we’re going, more than half of the full-frame cameras sold today are mirrorless. So we’ve reached the tipping point. The a9 is a great representation of the future of our industry. With its stacked CMOS sensor, it can shoot at up to 20 fps in complete silence. Without any shutter sound, wedding photographers, photojournalists and sports photographers can go into places they weren’t able to in the past. This enables them to capture images that were previously impossible to get. 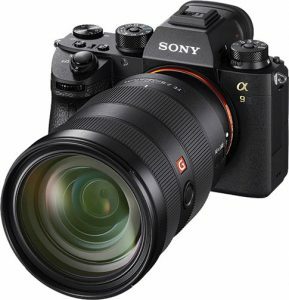 Additionally, the a9 is a camera that we are continuing to improve to this day. For example, you can now add firmware that enables the camera to do different, new things like automatically track subjects with a new level of accuracy and speed, activate eye AF with a simple half press of the shutter release, or utilize AI to identify an animal and autofocus on its eyes. Another example is when you’re in a place where you can’t make sounds. Whether it is a TV broadcast or a wedding or a golf tournament, you can go into places with your equipment and literally capture images that were previously impossible to get. The future is extremely exciting. Let’s talk about the lower end of the market. Smartphones are dominating the picture-taking market. How do we get people to recognize the benefits of using real cameras again? It’s not about attacking smartphones, because people are happy with them. The opportunity is to share what cameras can do and how they allow you to expand your creativity and tell your story. Each form factor has its own advantages. We must focus in on the benefits of each of them. Ultimately, the customer makes the decision. What are photo specialty dealers doing well right now? What can they do better to attract new kinds of customers? And how do we encourage people to visit their local retailer rather than buying online? Two things the photo channel is amazing at is being able to provide a wealth of knowledge and creating a sense of community. They need to always be that go-to resource to bring customers into their stores. Most offer tremendous training classes. They can look at their curriculum and adapt it to bring in the younger demographic. There are many opportunities to create classes as well as events that excite these storytellers. 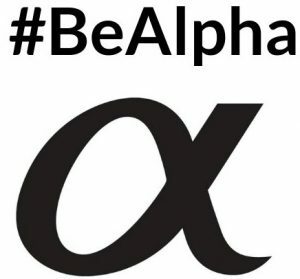 As an example, through our Be Alpha campaign, we have a series of events and socially driven programs throughout North America. As part of this, many of our retailer partners have executed regional events. Social sharing and building communities are key to building your own retail brand. Specialty retailers can be an important social gathering place for young photographers. They don’t need to be a place to simply buy; they also can be a place to connect with peers and to learn. This new, young customer loves innovation, and our category can deliver that day in and day out. We just have to think differently about attracting new kinds of customers. Has Sony’s success in the imaging category surprised people at Sony? I would say we’re really humbled by and appreciative of customers and retailers who are choosing Sony and have made us such a strong camera brand. But on the flip side, we’re still a challenger in this market. We still have a long way to go, and we still have lots to learn and solve. We’re just getting started in this industry. 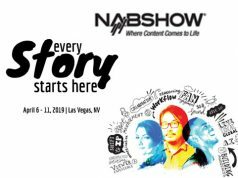 It’s exciting, and it’s all about how we challenge ourselves every day to excite our customers to take more and different kinds of pictures than they ever thought possible.